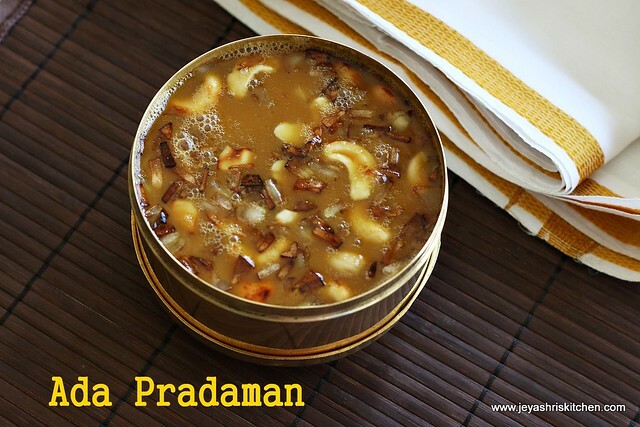 Ada pradhaman is generally made for Onam, a traditional festival of Kerala. 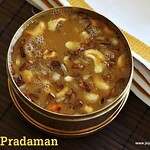 Very long back i made this ada pradaman at home, as my hubby loves it very much. 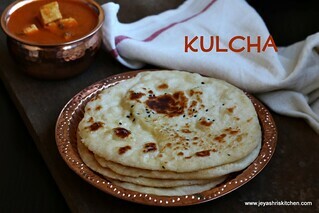 Some make this with jaggery and some with sugar and milk too. 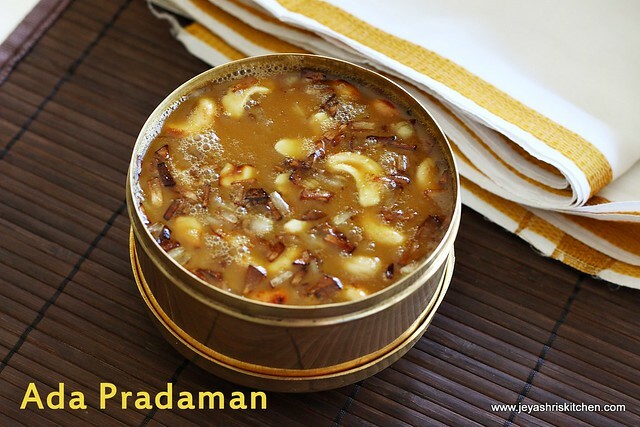 The one which is made with jaggery is ada pradhaman and the one with sugar and milk is Palada pradaman. Two days back when i went to the indian store, saw this rice ada packet and big nendram banana. So bought these 2 and made the ada pradaman the next day itself. Will soon post the recipe of nendram banana chips. 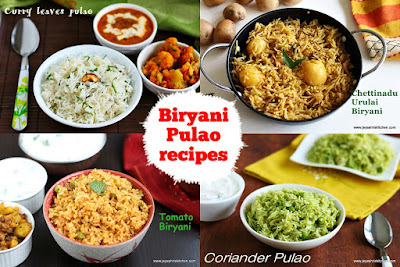 Instead of rice ada, you can add cooked channa dal and make Paruppu pradhaman too. 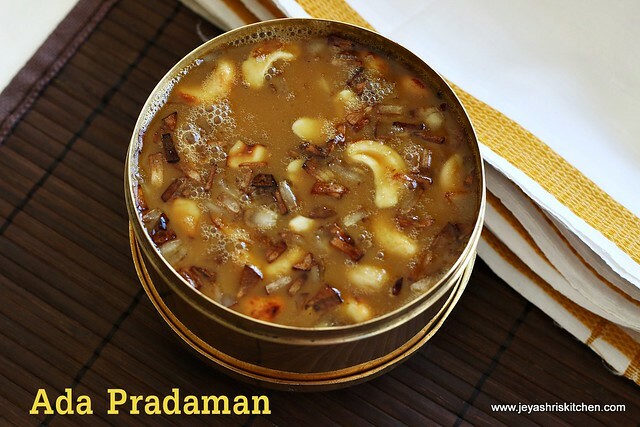 Check out my Jackfruit payasam | Chakka pradhaman. 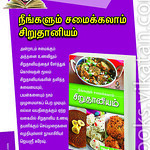 Before going to the post, wanted to share that 30 recipes of mine themed "NO ONION NO GARLIC" got featured in a popular Tamil magazine, Kunguman Thozi. 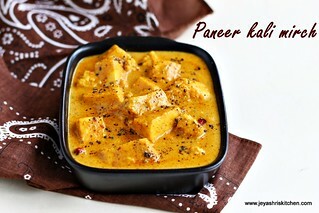 Will share the recipes here soon. Soak the ada in water for 10 minutes and cook them in a medium low flame for 10 to 12 minutes till the ada becomes soft. 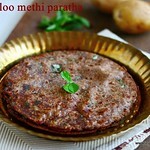 Cook this nicely, else after to the jaggery it will be hard. Drain the water and keep this aside. 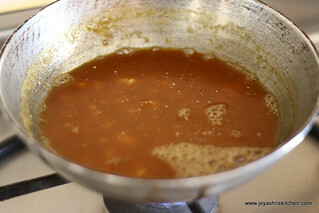 In a pan add jaggery and add 2-3tblsp of water an allow this to boil. 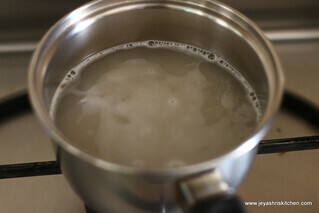 Filter the impurities and allow this to boil for 5 minutes. Add the cooked ada to this and add the thin coconut milk. Cook for 5 minutes . 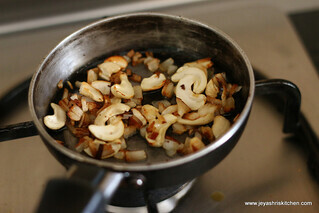 Mean while roast the coconut and cashew nuts in ghee till golden brown. Keep this aside. 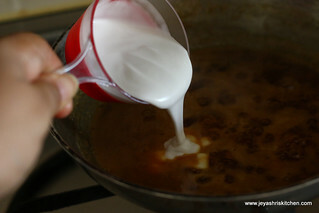 Add the thick coconut milk to this and boil for 2-3 minutes. Do not boil for too long as the coconut milk will curdle. 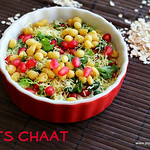 Add the roasted cashew nuts and coconuts to this. Ada pradhaman is ready to serve. 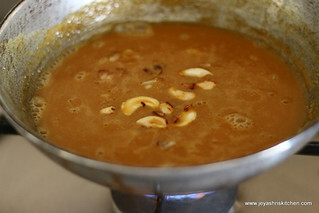 Cook the ada nicely in water and then add it to the jaggery. 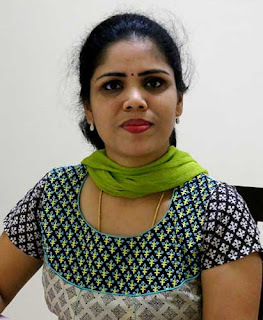 Ada will not get cooked in jaggery water. Switch off the flame after adding thick coconut milk. This pradhaman will thicken after cooling. 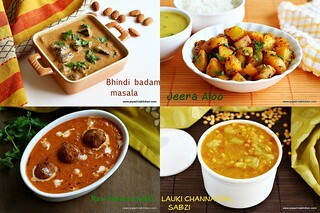 You can serve this chilled too. No need to add normal milk as coconut milk enhances the taste of the payasam. Yummy one.Pls. 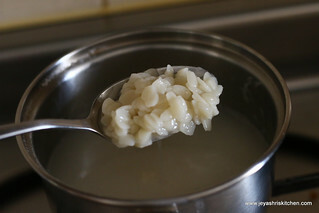 post one day the method to make rice ada. Yummy :) Where can we get Ada in Singapore? Pls let me know. 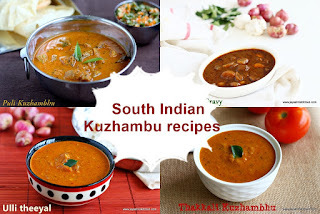 And congrats for the publication of your recipes in 'Kumgumam Thozhi'! !